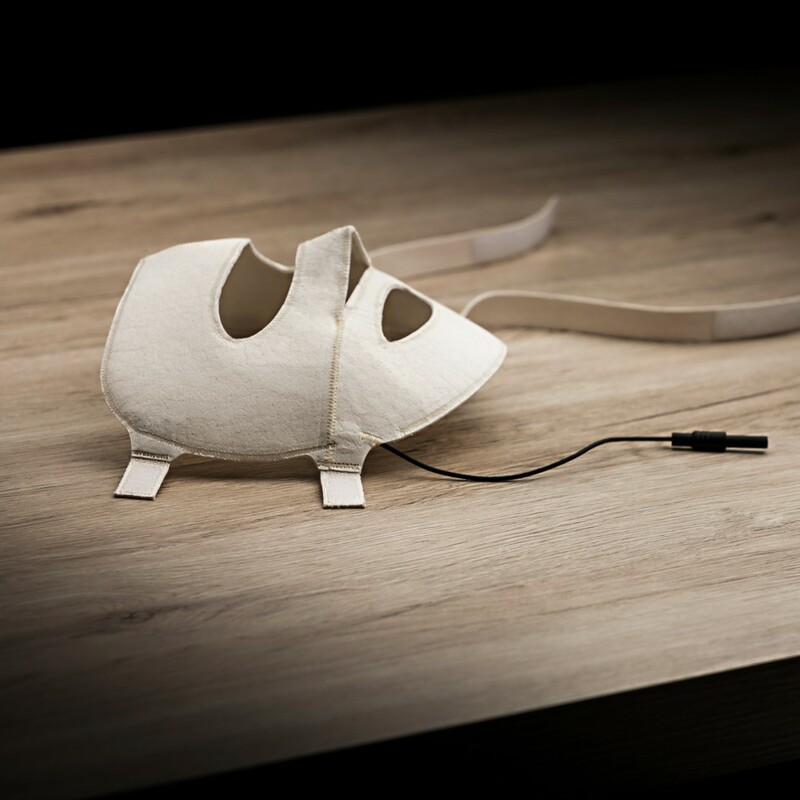 Accessory for Saalio® Iontophoresis against sweating in the face. 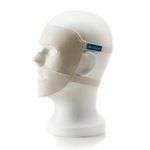 Ergonomically shaped face mask with innovative electrodes made of comfortable graphite. In contrast to other parts of the body, excessive sweating in the face cannot be concealed. The resulting stress only exacerbates the already elevated sweat production. Very frequently, sweat appears in the so-called T-zone (forehead, nose, upper lip, and chin). The application of tap water Iontophoresis to the face is more challenging than the application to hands, feet and underarms. The surface of the face is very curved so that the usual flat electrode systems are little or not at all suitable. 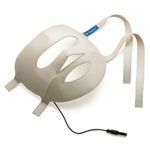 The anatomically designed Saalio® face electrode facilitates the extended application of tap water Iontophoresis to the face. 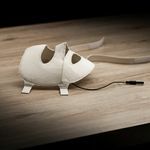 The shaped mask made of soft fleece adjusts extensively and most of all virtually effortlessly to the contour of the face. The mask completely covers the particularly critical T-zone, including the nose. Moreover, compared to a wet cloth, the multi-layer construction ensures higher flexibility and pliability of the water-soaked mask. An additional characteristic of the Saalio® face electrode is the generous addition of graphite fibers to the mask. 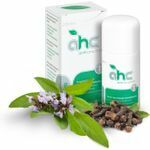 This ensures that electricity is evenly introduced over the entire surface of the face which prevents local current spikes. The softness of the graphite fibers ensures that the face mask maintains its flexibility and pliability. While the face mask represents the electrical contact surface with the unit, the hands or feet (basin) are required as secondary contact surface so that electricity can flow through the body. In principle, this configuration resembles the application for the combined hand/foot treatment. Additional contraindications for the application of the face mask are metal implants in the head region (e.g. dental implants or inlays) and skin disorders of the face. The treatment effect of the Saalio® device is slightly delayed (FAQ). The extended 4-week cancellation period affords every end-user sufficient time to verify success of this therapy for himself or herself and be convinced by the quality of the device. For additional information, we refer to our general terms and cancellation policy. 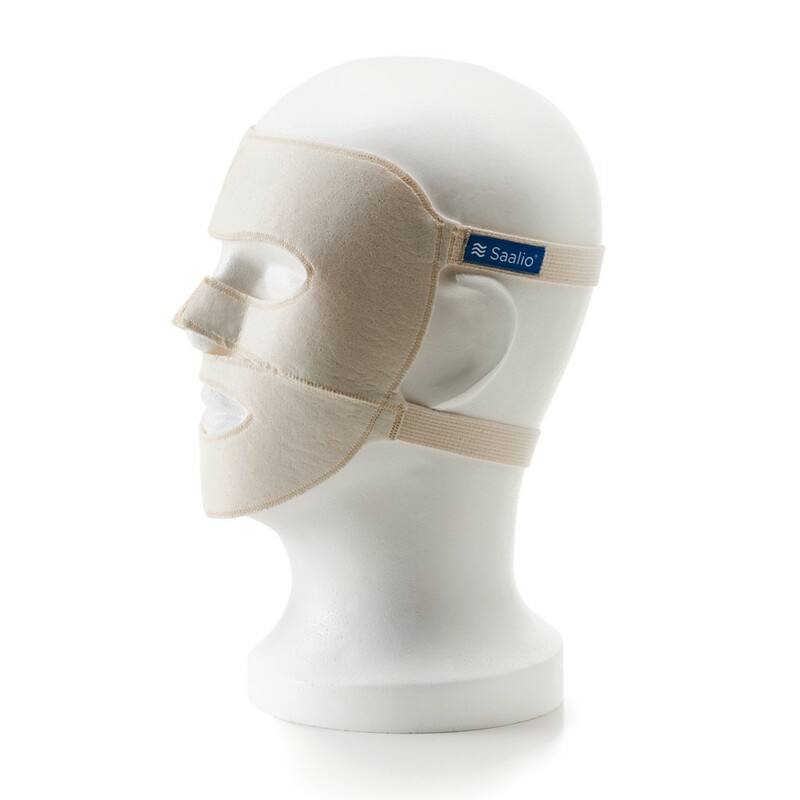 Please help other customers and rate Saalio® Face Electrode (Face Mask). Your rating will be published anonymized. 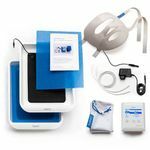 The Saalio® FA-Set (for the face) is a modern therapeutic device for tap water Iontophoresis in a professional setting as well as in home therapy.